Every candidate for political office gets the same question over and over again on the campaign trail: Why are you running? For Flynn Broady, the answer is clear. Broady, like many Democratic hopefuls in 2018, is a first-time candidate. 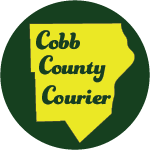 The 11th Congressional District hopeful spent 26 years in the military with three deployments before earning a law degree and joining the Cobb County government as a prosecutor and then a coordinator with the veterans treatment court. He has lived in Marietta for the past decade and is a member of Zion Baptist Church. One of Broady’s top goals as a candidate is raising wages, especially among poorer residents. His theory is that those on the lower end of the income spectrum will spend any additional money they receive, whereas the well-off would likely use an income boost to save more or buy additional stock, providing less stimulus to the economy. He supports a minimum wage increase but hasn’t picked a target number, saying it should vary depending on the cost of living in a given region. 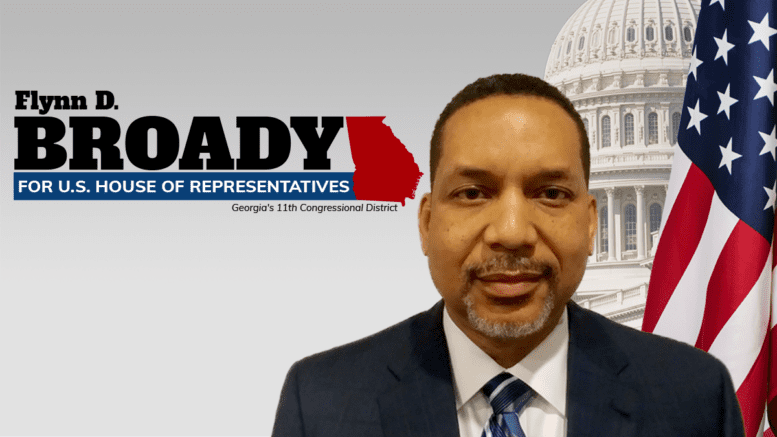 Broady also supports Medicaid expansion and providing healthcare to everyone, especially preventative health care that he says will prevent people from getting sick and spending expensive, lengthy stays in the hospital. “People are more productive when they are at work,” he said, noting that healthcare shouldn’t be a partisan issue given that the model for the Affordable Care Act came from Republican Mitt Romney during his stint as Massachusetts governor. He’d like to increase the number of school counselors in order to prevent teen suicides and school shootings, and implement “red flag” mandates to prevent the mentally ill from buying guns. At the same time, Broady describes himself as a moderate that has more in common with the average voter than incumbent Barry Loudermilk. He plans to campaign hard ahead of the Nov. 6 election, hitting scheduled rallies and canvassing neighborhoods in the district. Broady said he’s met Loudermilk just once, at a campaign stop in Ball Ground where the two briefly spoke. Acknowledging that both are military veterans, Broady said he had more leadership experience than Loudermilk, and that he went into combat whereas Loudermilk did not. On that note, Broady said he’d like to see an increased budget and more resources. for the U.S. Department of Veterans Affairs. If May party primary turnout is any indication, however, Broady has his work cut out for him. Though neither candidate was challenged, Loudermilk picked up 43,309 votes, more than twice as many as Broady’s 21,621. Loudermilk first took office after emerging from a six-horse Republican primary race in 2014, besting Bob Barr in a party runoff and facing no Democratic opposition that November. After defeating four Republican challengers in the 2016 primary, Loudermilk easily won re-election in 2016 by beating Democratic challenger Don Wilson with 217,935 votes (67.4 percent) to Wilson’s 105,383 (32.6 percent). The district went for Donald Trump by 25.1 points. Perhaps not surprisingly, Loudermilk enjoys a wide lead in the money race as well. According to the Federal Election Commission, the incumbent has raised $549,054.61 and spent $280,340.04 since Jan. 1, 2018. Over the same time period, Broady has raised $9,995 and spent $8,907.80. Still, Broady said it’s up to the voters to decide on an individual basis who they think best represents their interests, regardless of party affiliation.